ANN ARBOR, Mich. - The Michigan football program made a splash last week when it hired Josh Gattis as its new offensive coordinator, but Jim Harbaugh is also excited about a hire he made on the defensive side of the ball. Harbaugh brought Boston College defensive backs coach Anthony Campanile to Ann Arbor days after Greg Mattison and Al Washington left Michigan staff for Ohio State. Harbaugh said the younger coaches on his staff knew of Anthony Campanile because of his coaching and recruiting prowess. "The younger coaches on the staff -- Chris Partridge, Jay Harbaugh -- they really know a lot of the younger coaches," Harbaugh said. "Not always, as an older coach, do you know all the younger coaches out there. They were saying the same thing about Anthony Campanile. 'This is the guy, coach, that you need to go after.' So I trusted them. Chris and Anthony coached together in New Jersey." Campanile will join Michigan's defensive staff, though his specific role hasn't been disclosed. "Anthony -- when I looked at his resume online, you could see it -- offensive coordinator at Don Bosco (Prep in Ramsey, New Jersey) and also defensive coordinator at Don Bosco," Harbaugh said. "Then he gets hired at Rutgers in an off-the-field type of analyst role, but very quickly, within that year, the next year, he was coaching offense on the wide receivers. I think he might have even coached a little defense there, then went to Boston College -- again, gets hired to coach, and the next year he's up to co-defensive coordinator." Harbaugh expects Campanile to be a strong recruiter for Michigan, as he's regarded as an up-and-coming coach in college football. 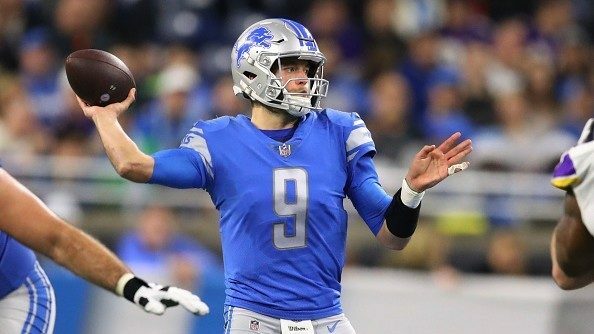 "When you meet him, he's one of those guys who's just a gift of personality and charisma, and great that way," Harbaugh said. "After we hired him, I was getting texts from about a half-dozen coaches that said, 'You hired a great coach.' I trust Christ Partrige and Jay Harbaugh, and I'm glad that I did." Even Don Brown, Michigan's 63-year-old defensive coordinator, had heard of his new, 36-year-old assistant on the recruiting trail. 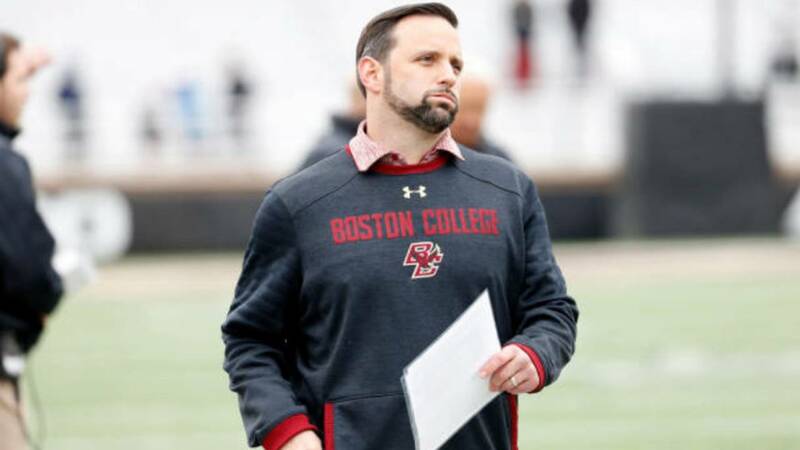 Like Campanile, Brown came to Michigan from Boston College, though they never crossed paths because Brown left at the end of 2015 and Campanile left Rutgers for Boston College in January 2016. "Don Brown was really aware of Anthony Campanile because he said, 'Coach, everybody I recruit on the East Coast, this guy's in every school. He's recruiting them all and he's winning on some of them,'" Harbaugh said. 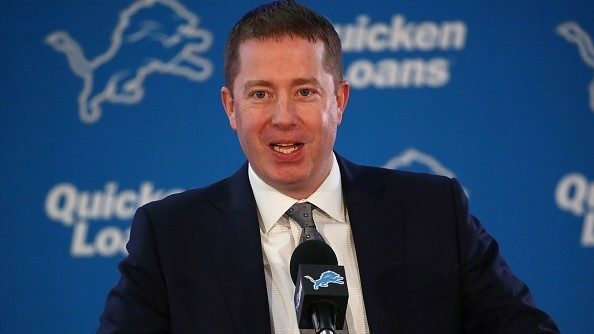 "Great to have him on our staff." 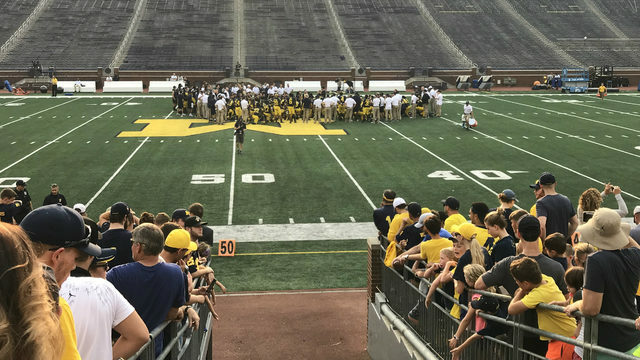 "Today, we are a much better program than we were 10 days ago, in my judgment," said Jack Harbaugh, Jim Harbaugh's father. "Seeing the personalities in the program, and to see our young people, how they walk in that door today and that smile on their face and their excitement to get to that weight room. We are a better football team right now than we were, and we will just get better."